AJAX itself is not inherently more or less secure than the sum of its parts as long as care is taken to follow best practices and to write secure code. What are some basic things web developers can do to ensure the security of an AJAX enabled application? 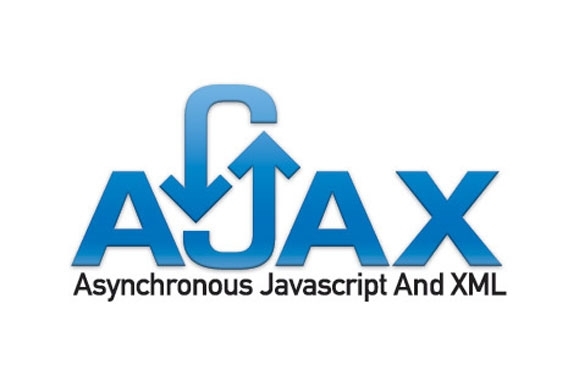 One issue with AJAX applications is that they may be bandwidth and resource hungry because the combination of technologies used in AJAX get their power from resource consumption. For this reason any web application that will be AJAX powered needs to be served from the best hosting possible. Use reliable hosting on beefy up to date hardware configured for high loads. Running AJAX applications on an old server located on an internet side street will result in frustrated visitors and slow load times. In many cases a dedicated server on the best hosting is the best choice since then the application won’t be sharing resources with other websites the way it would on shared hosting. Look for a reliable host with a great reputation, great security, and great uptime as well as generous hardware and bandwidth. Some hosting companies specialize in AJAX hosting. Choosing a great AJAX enabled web host will ensure that you can deploy your AJAX enabled websites and applications easily and safely. Even if you’ve chosen the best and most secure web hosting in the world if you design your AJAX application with a bunch of gaping security holes no amount of compensation by your host will save you from a serious hacking. There’s a great tutorial written by Shreeraj Shah entitled “Top 10 Ajax Security Holes and Driving Factors” which is a must-read if you are writing AJAX applications. Following the recommendations within that tutorial will help to ensure that your application avoids the most common security mistakes. If you follow those recommendations, you’ll find that the best practices for AJAX are very similar to the best practices for the security of any web scripting language. What are the most vital aspects of security in writing Ajax? All four of these aspects need attention within your AJAX application but the most important is Input Validation which is the easiest entry point for untrusted sources and the most likely spot where a hacker will try to gain entrance to your application. When you develop web applications the use of a test server will allow you to deploy your application so that you can fully test whether it works before launching on the production server. Anything that goes wrong will do no harm to anything live. Some hosts offer test servers but setting up an in house test server is relatively easy to do. Once you’ve started testing your application modifications and security provisions can be thoroughly put through their paces to ensure that everything is in fine working order prior to deployment on the production server. It is critical that all elements of your application be tested prior to deployment. And the most important test is a self-hack test. The best ways to find out your applications vulnerabilities is by hacking the application when it is running on the test server. Some common self hacking tests look for cross site scripting and sql injection vulnerabilities and run a security audit of all forms on the website. The one essential test that you should run to ensure your application’s heartiness is a load test. This should be performed both on the test server, and again on the production server. You should notify your host prior to deploying a load test as a courtesy, and it’s best to do it at a normally low load time. If you’ve followed all security best practices, tested your application thoroughly, and chosen your web hosting with hardware and bandwidth needs in mind then you’ll find that AJAX offers a secure, friendly and interactive user experience for your web visitors. Article contributed by Vanessa. You can visit Webhosting search to read more articles written by her, about web designing, web development, hosting plans and blogging.